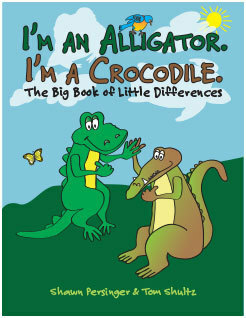 Shawn and Tom will discuss their creative process for their new children’s book, I’m an Alliagator. I’m a Crocodile., and their use of Kickstarter to get things rolling. This program will be on Thursday, July 30th from 6:30 PM to 8:00 PM. Doors will open at 6:15 PM. Please call 860-285-1918 to sign up. I’m an Alligator. I’m a Crocodile. Giveaway ends February 20, 2015. Tom sending the final draft to the printer!